Raz's Midnight Macabre: LINNEA QUIGLEY NEEDS YOUR HELP! 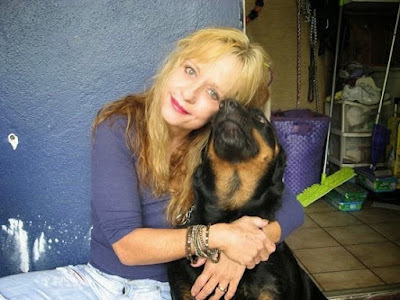 Our good friend Linnea Quigley AKA Trash from Return of the Living Dead needs our help! She has had something even WORSE than Zombies happen to her! SHE HAS BEEN CONNED! Long story short, a shady supposed businessman took her for over 7,000 dollars, abandoned her at her hotel and left her with outstanding debt/bills.. Also BLACK MOLD! ROTTEN WOOD! RAT INFESTATION! Most of this is the cause of the rain/hurricane damage that overtook her home last year. She is a lovely human being behind the Make-Up, and can really use her Living Dead Family right now! She is the biggest animal lover, yet has a dying phobia of RATS! I know we can all come together and help someone who has impacted all of our lives more than we can put into words. The raining/wet season in Florida is drawing near, which will only make things even worse. Rats multiply very quickly, and have basically overtaken her home. Anything you can spare or donate is a HUGE help to our good friend Linnea. She loves all of her fans to death, and I know she would do the same for ANY of us. Please consider donating whatever you can spare to help save her home, sanity and well-being. Black mold is no joke. And rats carry many diseases. Let’s all come together as one big Living Dead Fam, and help out our favorite “kid” from the punks get her life back on track! Any donater over $50 will receive a personalized signed Photo from Trash herself. Any donater over $100 will receive a personalized signed photo, and a special thank you shout out from Trash herself. So do you want to help out a beloved Horror icon? Then head on over to the GoFundMe page HERE and see how you can help out!